Building 3 is connected to Building 2 and Building 6 via Node 2. This laboratory building is four-stories, Class A, steel frame construction and contains mostly laboratory space. The floors are a mix of VCT and epoxy terrazzo. 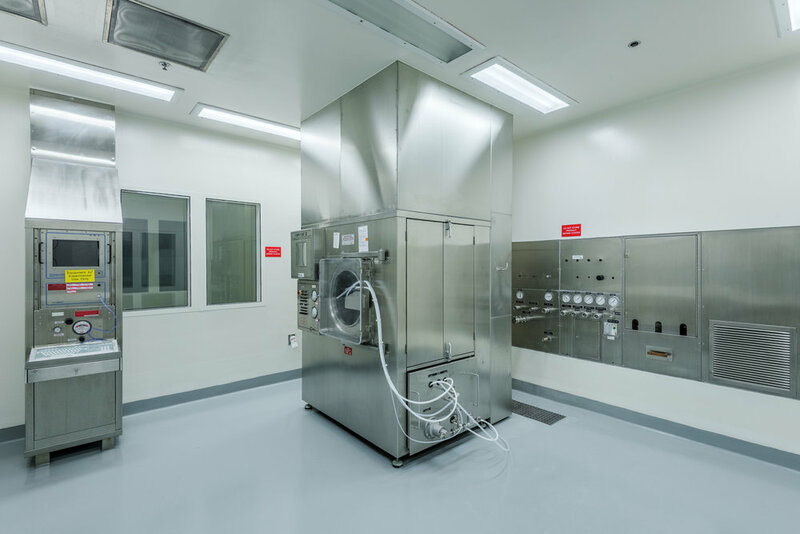 All of the laboratory spaces are serviced with once-through HVAC with airlocks into some of the lab areas. Building 3 contains ten laboratory modules. The majority of the labs in this building are rated BSL-2 (Bio Safety Level 2). There are three modules of labs that area rated BSL-3. The lower level of the building is divided with approximately 40% of the space as mechanical support and the remainder as circulation and labs. 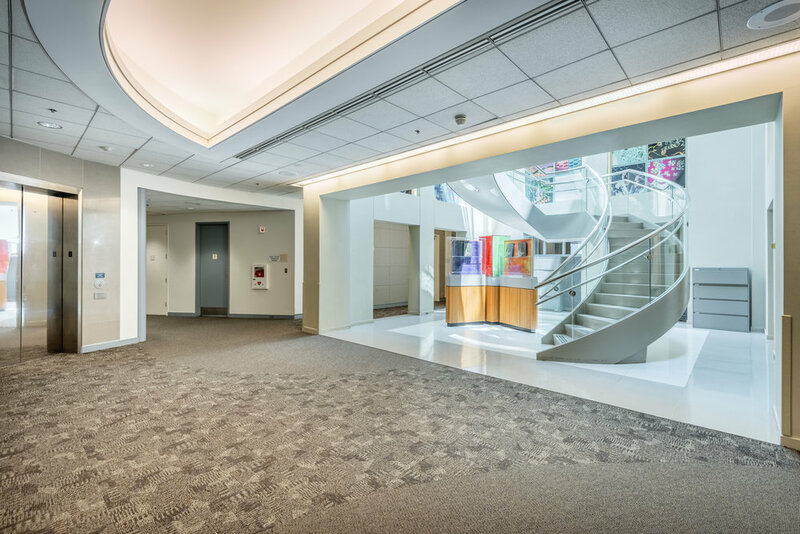 The upper three floors utilize a central corridor for lab supply and access with the write up spaces located around a secondary circulation corridor on the perimeter of the building. The penthouse floor is dedicated to mechanical support. Building 5 is the main office and amenity building for the North Campus. This building is connected to Building 1 via an enclosed ground level corridor. 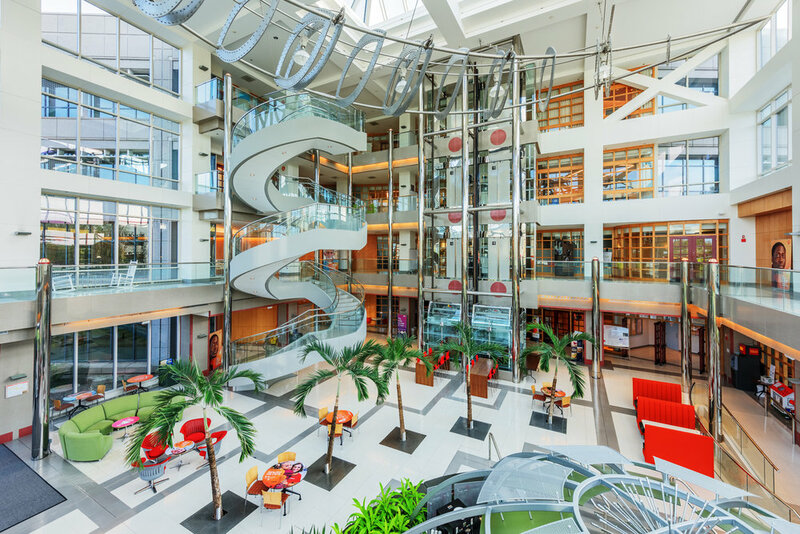 Building 5 contains a 14,192 square foot cafeteria, a fitness facility with locker rooms, several training areas, SMART office, executive level offices, an auditorium, and a four story atrium. 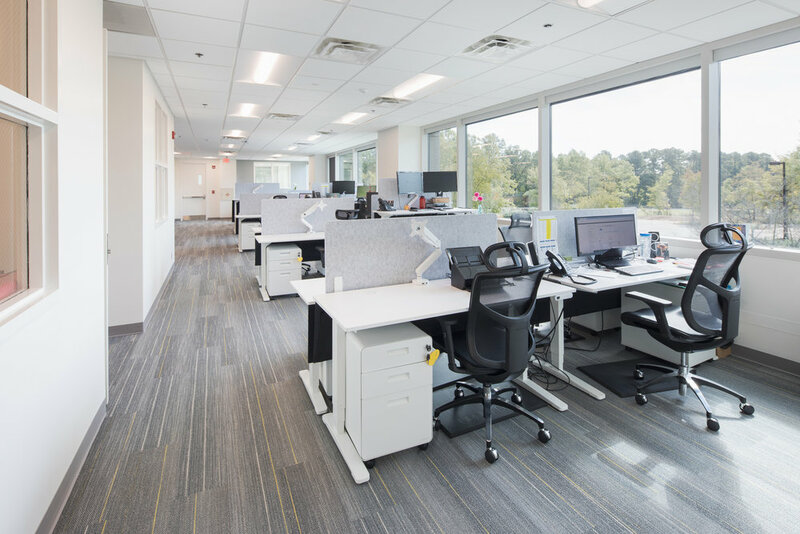 The SMART office has raised flooring with all of the connectivity for the workstations beneath the floor deck. This space is reconfigurable for other office users. Building 6 is connected to Building 2 and Building 3 via Node 2. This laboratory building is four-stories, Class B, reinforced concrete frame construction and contains mostly animal laboratory space. The floors are mostly epoxy terrazzo. 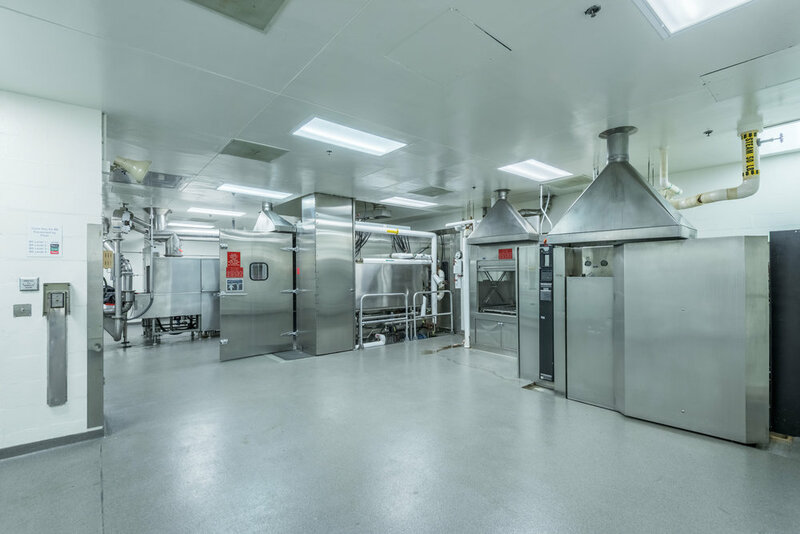 All of the laboratory spaces are serviced with once-through HVAC. The majority of this space is not utilized at capacity. Building 8 is the central utility plant for the entire campus. This building is not connected to the other buildings by a node or connector. This building contains one large drive-in door. There are 4 boilers and 7 chillers that provide all of the HVAC service for the entire North Campus. There are also 5 indoor Caterpillar diesel generators for auxiliary power in the event of an emergency or outage. The boilers are fueled by natural gas or fuel oil. There are two 50,000 gallon fuel oil tanks in the rear of the building. The North Campus electrical feed comes from two parallel 25k volt feeds direct from two separate Duke Energy substations. 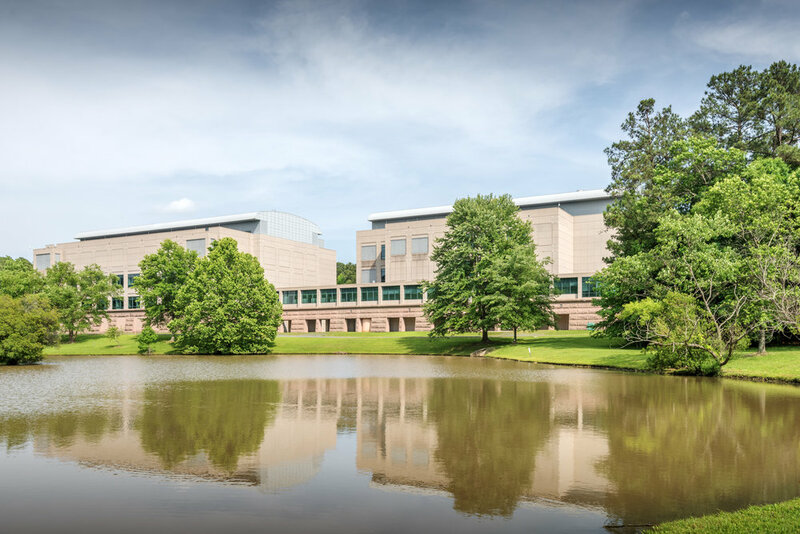 Building 8 is currently operated on a contract basis by Johnson Controls which provides the facility operations management for the North Campus. Building 9 is connected to Building 6 and Building 11. This laboratory building is four-stories, Class B, reinforced concrete frame construction and contains mostly animal laboratory space. The floors are mostly epoxy terrazzo. 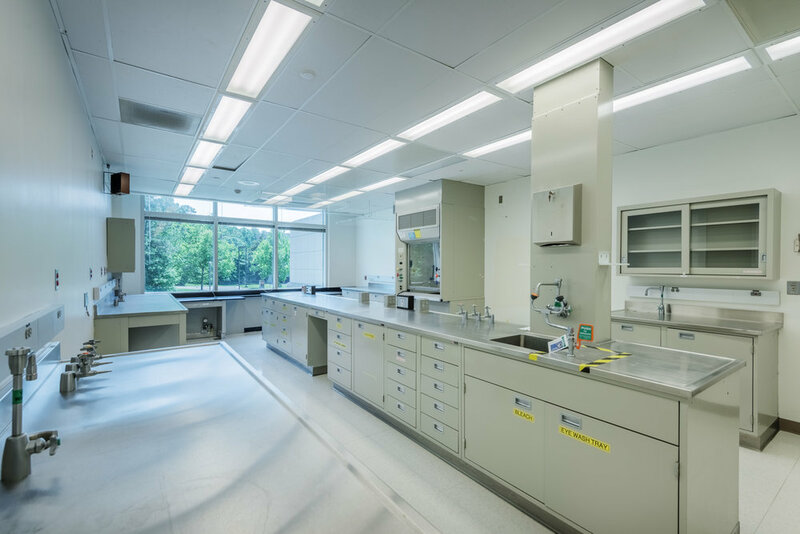 All of the laboratory spaces are serviced with once-through HVAC. TRAINING AND ROLE PLAY FACILITIES – Included five (5) classrooms with state-of-the-art audiovisual capabilities, one (1) computer laboratory, thirteen (13) break-out rooms, and eight (8) role-play rooms. 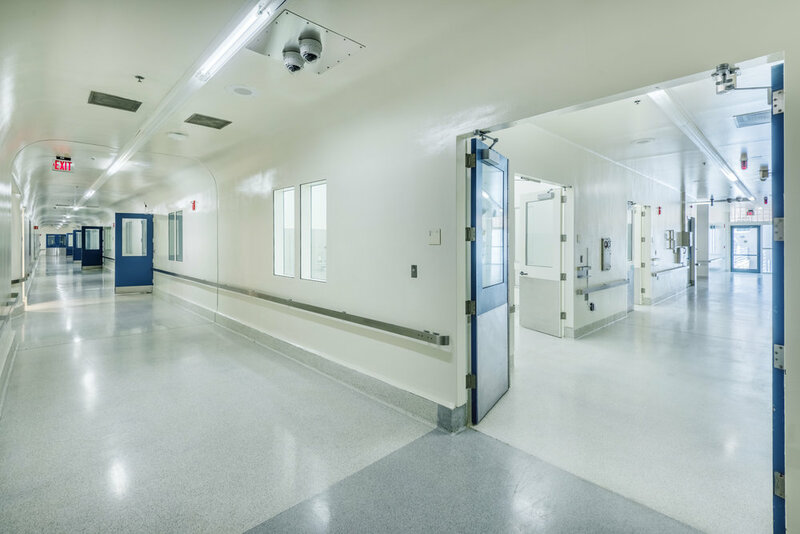 Within the training and role-play facilities are restrooms, telephone booths, and refreshment break areas and pantries, furniture storage rooms and a service elevator. 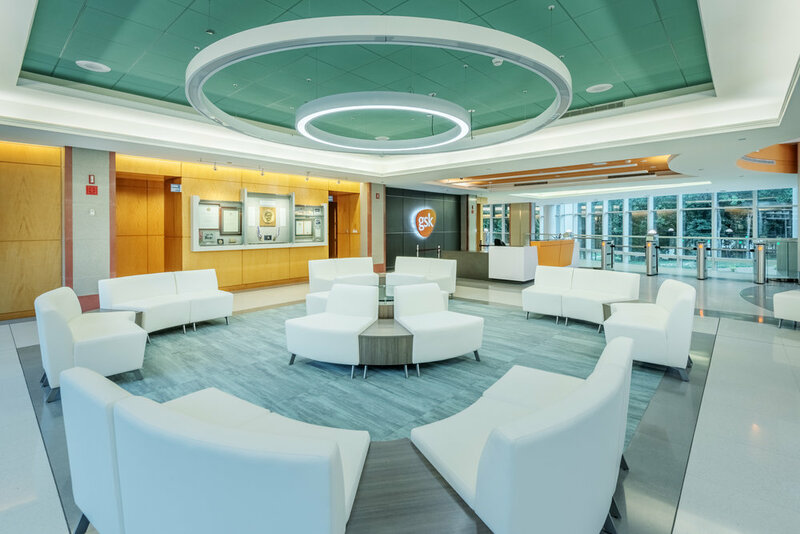 ADMINISTRATIVE AREA – Includes twenty-six (26) private enclosed offices, twenty-four (24) support staff open-office workstations, a lobby/reception area, file rooms, copy rooms and record storage rooms.